In the aftermath of the financial crisis, investors are searching for new opportunities and products to safeguard their investments for the future. Riding high on the wave of new financial opportunities are Alternative Alternatives (AA). However, there is a lack of information on Alternative Alternatives: What are they? How do they work? How can investors profit from them? InAlternative Alternatives, Sona Blessing addresses all of these questions. Blessing defines Alternative Alternatives based on the following hypothesis: If the origin of the risk lies outside the financial markets, then is should be insulated from the vagaries of those markets. The recent credit and sovereign debt crises have served to defend this hypothesis and have upheld the conclusion that AA assets and strategies offer a risk–return profile that is distinct from those offered by traditional and main stream hedge fund strategies. AA strategies include timberland investing, insurance risk transfer, asset/loan based lending (aviation, shipping, trade, entertainment, litigation financing, etc,), collectables and extraction strategies such as volatility and behavioural finance. Alternative Alternatives reviews each asset/strategy on a standalone basis, profiling its characteristics, an analysis of its strengths, weaknesses, opportunities and threats (SWOT), and its risk/reward drivers. Blessing describes how to integrate these assets and strategies within a portfolio by examining their peculiarities, the challenges and constraints of each, how they are being used in the real world, how they are implemented, and the results that they have achieved. Finally, the book reviews the scope, scalability and prospects for each asset/strategy in the future. 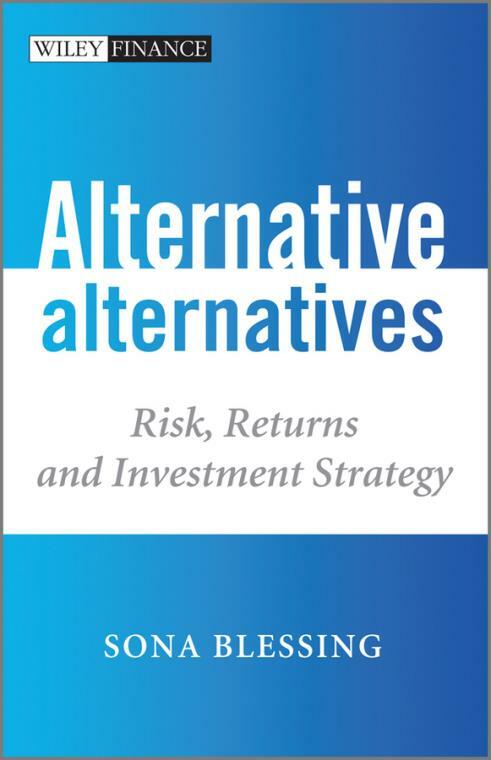 Alternative Alternatives is a one stop resource on this new investment class, providing an in–depth analysis of these assets and strategies, which will leave investors with everything they need to identify, allocate and manage them.